What started off an experimental tournament between Philippines and Malaysia has now become a permanent feature. Last year, only four teams, including X-Mail Veteran, competed in the inaugural tournament in October. The tournament saw X-Mail team bring the winning trophy, medals, souvenir T-Shirts and even the official programme for the competition. This year, we have a brand new beautiful pewter Challenge Trophy donated by a strong supporter of X-Mail and a prominent figure in Malaysia, Dato’ Abdullah Hishan. He has also donated the replica trophy which the champion will keep. The second edition of the tournament this year has also seen the number of teams competing grow from four to ten. Although the format has been changed from 11-a-side to 9-a-side, the tournament without doubt is gaining momentum and popularity. While last year it was rekindling the fire in Philippines for X-Mail who have been having a long standing relationship with the Philippines FA dating back to 1991 when we competed in the inaugural Philippines Cup in Iloilo City, it is now going to be revisiting to forge a permanent relationship. X-Mail, then known as The Malay Mail FC has besides the Philippines Cup played several friendly matches in Manila too. We have also had hosted the Philippines national in Kuala Lumpur Malaysia. The X-Mail Veterans have a long history which dates back to 1987 when The Malay Mail soccer team was formed to compete in the Kuala Lumpur FA Dunhill League. Infact, the team itself had been in existence since the 70s, when it was known as the New Straits Times team, which competed in the annual NST/Straits Times Singapore annual games. 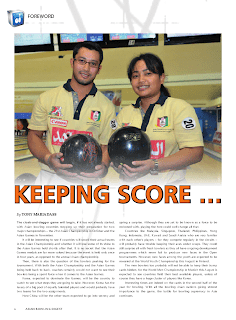 The Malay Mail team itself started with employees of the New Straits Times, The Malay Mail and Berita Harian, as club team competing in the KL Dunhill League. Starting off in 1987, playing in the domestic league, the team’s achievement saw it become the first club team from the city of Kuala Lumpur to qualify for the BIG League – The Malaysian League to play in the Division Two - as KL Malay Mail FC. Over the years, the team has evolved from a company team to club team and finally a Semi-Pro team playing in the M-League Division Two from 2000 – 2002. 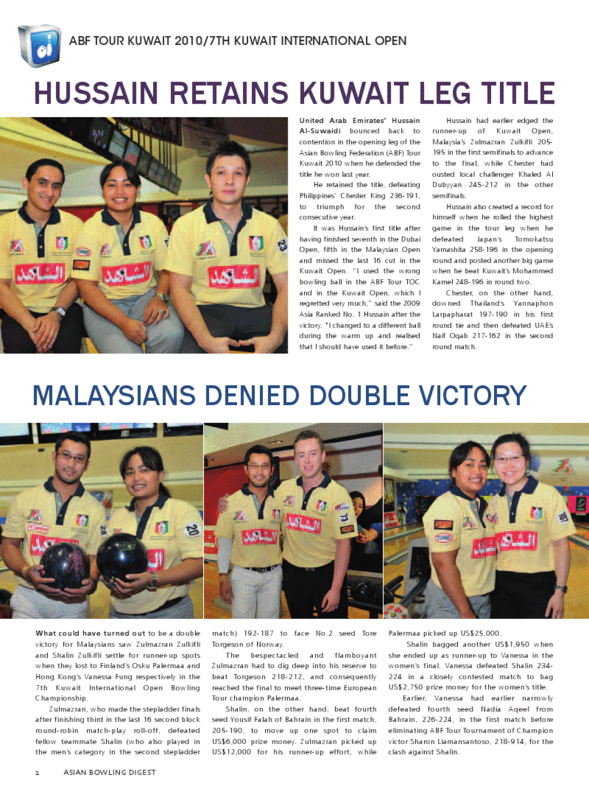 However, the end of 2003, saw the end of The Malay Mail team after almost 15 years in existence owing to financial problems – the team had to source for it’s own funds and did not receive any monetary aid from the newspapers. Infact, it was wonder that the team survived for 15 years on a shoe-string budget which shamed many top teams in Malaysia. Last year in May, saw the rebirth of the Malay Mail team, but as veterans. Not wanting to let such a rich tradition and history suffer a natural death, players who have at one time or other played for The Malay Mail team with in the Dunhill League, FAM Cup, FA Cup or M-League Division 11, were invited to play in a friendly match against a local community club UKRC, who also have a longstanding relationship with X-Mail. Some 200 players have played for The Malay Mail team over the years, which included several top names like Dahlan Zainuddin, R. Subramaniam, Zainal Abidin Hassan, K. Kannan, M. Pavalamani, Chow Siew Yai, See Kim Seng, Subadron Aziz, S. Silvarajoo, Lim Teong Kim, S. Balachandran, Mohd Faridzul Kassim, S. Tamilarasan, K. Viajantheran, Ramlan Askolani, V. Suresh and N. Suresh to name a few. Many young players too have graduated from our team to become national players and two of them include Mohamad Imran and S. Surenthiran. For the historical veteran’s friendly match against UKRC last May some 30 odd players, who are true blue Malay Mail players who decided to keep the flame of the team burning and turned up. The rest is history. The team decided to return to Philippines as veterans last October and the inaugural Philippines-Malaysia Veteran Soccer Tournament was born. Last year, despite a depleted side, X-Mail managed to finish runners-up to host Bacolod United FC. This year, we have come as a truly Malaysia-Philippines team because we have four Filipino guest players to underline our true comradeship with Philippines. Hopefully, we will do better than last year, but with the competition expected to be much tougher, we will be happy just to be a good participant to ensure to the success of the tournament. But we are looking forward to next year, when we will be hosting the 3rd Philippines-Malaysia International Veterans Soccer Festival, where we hope to invite teams from other Asean countries too. We hope Philippines will be represented by a few teams as we try to return the great hospitality shown to us in Bacolod City. Here’s wishing all the participating teams all the very best and may the team that plays in the best spirit of the game with Fair Play being held to the highest order, and survive the tournament with their fitness and true classy display, win the tournament. Goalkeepers: Fareez Prem Raj; Robert Choa; Defenders: Hasnul Ramlan Khairuddin (Team Captain); Masaaud Zain; Md Mashraf Mustakim; R. Subramaniam; Midfielders: V. Kalimutu; P. Vijian; Eduardo Perez; Strikers: Anto Richard Gomez; U. Supramaniam; Alberto Salvacion, Jesse Risalieu S. Ricabo. Friday, May 21, 2010 at 5:55:26 p.m. THE X-Mail Veteran football club (FC), will be making some contributions to the soccer team of Handumanan Elementary School on Monday after the end of the 2nd Philippines-Malaysia International Veteran Soccer Festival in Bacolod City on May 29-30. The X-Mail FC is no newcomers to Bacolod City, having come here regularly in the 90s to compete in the Philippines Cup soccer tournament. Now, this team from the Malay Mail newspaper return to continue their longstanding friendship with Bacolod City, as veteran soccer players. 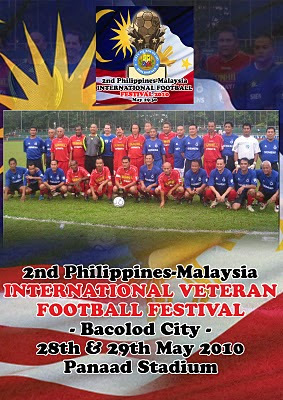 Led by team leader and coach Tony Mariadass, who was instrumental in reviving the relationship between Bacolod City and X-Mail team last year, when the inaugural Philippines-Malaysian veteran soccer tournament was started, has always had a soft spot for assisting the development of soccer in Bacolod City. Last year, the team had also made a similar presentation to Handumanan Elementary School at the Panaad Stadium during the tournament, through the assistance of former Philippines Football Association secretary-general, Edward Magalona, a good friend of Mariadass, when they competed in last year's tournament. Among the contributions they made included jerseys, soccer balls and donations from Milo which included T-Shirts and Milo drink sachets. This year, X-Mail will go to the school to make the presentation which will include contributions from Milo and Bata, who have graciously sponsored shoes for the poor children. "It may be a small contribution, but we will return happy that we have made some contribution to help the poor children enjoy the game of soccer better. "We thank sponsors Milo and Bata, who are leading sponsors and contributors to sports in Malaysia, especially at the grassroots level, to have come forward to assist us in realizing our hopes to help the children in Bacolod City." Published in the Sun.Star Bacolod newspaper on May 17, 2010. Several State FAs including Kelantan FA are already pushing for the inclusion of foreign players in the M-League and is expected to be a hot issue at the FA of Malaysia Congress in July. The reasons they give for the inclusion of foreign players include that all Asean countries have foreign players in the local league, the defeats suffered by Malaysian teams in AFC tournaments, it will attract the fans and fill the stadium, improve the Malaysian soccer standard and other reasons I cannot comprehend. Basically for me, I think these States FAs who are asking for the inclusion of foreign players, but being plain selfish! They are just thinking of their team doing well and have no interest of the national team. It does not matter to them, if the national players lack quality players and drop further in the world ranking. It does not matter to the that at least two or three local players will be denied an opportunity to play in their own league. It does not matter to them if the national team does not have strikers or midfielders, because all these positions will be filled by the foreigners in the M-League. I stand by what I have posted and I strongly believe it is not the right time to allow the foreigners on Malaysian soil again. Let the Malaysian soccer reach a formidable standard before we go to the next level to bring the foreigners. Many may not agree with my thoughts, but I strongly believe in having a strong base before we venture out to bring in foreign elements! If need be, bring in top class foreign coaches to lay the strong foundation with good development programmes and top level coaching. But make sure that these coaches are given a long term contract. Rome was not built in a day! For the matter, Malaysia is not what it is today overnight! The Indian Olympics Association (IOA) is seriously contemplating to stop accepting government funding and have received majority support from their national associations in their general assembly on Tuesday. Of course, a few smaller associations said that they still needed the funding. One of the main reasons for wanting to reject the government funds was as the autonomy of IOA. Infact,a letter from the IOA secretary-general, Randhir Singh has been dispatched to the Sports Ministry to that effect dated March 31. India Olympic Association secretary-general, Randhir Singh, has written a letter dated March 31, incidentally the last day of financial year 2009-10, to the government informing that the body would no longer need funding from it. "As the autonomy of the National Olympic Committee of India - the Indian Olympic Association is supreme, the Indian Olympic Association would like to desist from receiving any further financial support from the government of India from financial year 2010-11," the letter said. Read the report in the Hindustan Times here. Even the International Olympic Council backs IOA's move on financial freedom. Read Times of India's report here. Update: On Monday IOA received a shot in the arm with the signing of a Memorandum of Understanding (MoU) with Samsung India, whereby the digital technology company will sponsor the Indian contingent at the Guangzhou Asian Games in November. Samsung will also provide scholarships to 10 top-ranking players across individual sporting disciplines to bear their training expenses. One wonders, if NSAs in Malaysia will ever make such a stand to cut the financial support from the Government? It is no secret that Malaysian sports is heavily funded by the Government and that the National Sports Council exists to disperse these funds and monitor. Infact, NSC goes a step further and even conducts training, especially development athletes and hire coaches. If ever, NSAs in Malaysia decide that they can stand on their own feet or with funds from the OCM, NSC will be put out of a job! But it is very unlikely that NSAs in Malaysia, or even for the matter OCM, will take such a decision because it is a marriage of convenience with NSC - the government agency. A defiant Indian Olympic Association on Tuesday spurned Sports Ministry's tenure limitation guidelines even though there was a voice of dissent against IOA President Suresh Kalmadi's "dictator-like" functioning. IOA's general body and the Executive Council, which met at the Olympic Bhaw an here, ruled out amending constitution to accommodate tenure limitation for its office-bearers as is wished by the Sports Ministry. "The Special General Body unanimously resolved that IOA and NSFs would decline to accept the Government guidelines to protect their autonomy in accordance with IOC Charter and International Federations' Statutes," the IOA said in a statement. "No steps will be initiated by IOA/any NSF to amend their Constitution to incorporate any provisions/ part of these Guidelines as this will be seriously in breach of the Olympic Charter and render the IOA/NSFs vulnerable to suspension and deprive their teams from International participation," it added. The IOA completely ignored Sports Ministry's advise to discuss the tenure limitation issue in yesterday's meeting. The Ministry wants to fix the IOA and NSF President's tenure at 12 years with or without the break. The secretary generals and the treasurers' tenure is fixed at eight years at a stretch by the the ministry regulations, which also advocates a retirement age of 70.If implemented, the regulation would end the reign of Kalmadi and NSF chiefs including VK Malhotra (archery), Jagdish Tytler (judo) and Dhindsa, along others. IOA, however, enjoys the backing of both the International Olympic Committee and the Olympic Council of Asia (OCA) while the Sports Ministry has offered to send an official to IOC headquarters in Switzerland to sort out the issue. In his speech, Kalmadi said that the guidelines are an assault on the IOA and NSFs' autonomy. 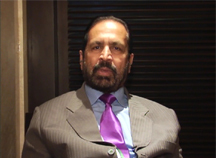 "It is time to correct some impressions that the Ministry of Youth Affairs and Sports has created," Kalmadi said. "First and foremost, the Olympic Charter states clearly that only the National Olympic Committee has the right to decide the terms of office for the office-bearers and executive members," he said. He also sought to dismiss the notion that IOA and NSFs were wasting public money, alleging the Sports Ministry created this impression by showing as grants to NSFs the money spent on training the athletes.Lashing out at Sports Ministry's letter to IOC in which they sought a meeting, Kalmadi said, "A Joint Secretary writing about it to the IOC President, we cannot have this kind of arrogance." IOA Secretary General Randhir Singh, who is an IOC member and the Olympic Council of Asia's Secretary-General, said if the Ministry continued to insist on imposing the guidelines on IOA and NSFs, India could be left out of the Olympic Movement. Parliamentarian Tarlochan Singh rejected Ministry's claims that the Parliament had backed the decision to impose the guidelines. "During a discussion in the Rajya Sabha on the working of the Ministry of Youth Affairs and Sports on April 22, 2010, just two of the 21 members made any mention of tenures of office-bearers of National Sports Federations. To say that Parliament was seized of the issue is to paint a false picture," he said. IOA senior vice-President and Archery Federation of India chief V K Malhotra called the Ministry's guidelines "draconian". The IOA said the government can appoint its own officials to disburse the money set aside for athletes' training if it didn't want the IOA's involvement. Why did all these comments not come before a failure? I read with utter surprise and disgust, all the comments coming freely after the failure of the Malaysian badminton team to reach the final of the Thomas Cup. The very people who had thrown support and even said that Malaysia will win the Thomas Cup, now have come out to criticise. From BAM being guilty of not having a back-squad of quality players, aging players, technical aspects, diet and the list goes on, have now surfaced not from experts, but from many who are just ardent supporters of the game because they are in a position where they have to engage themselves. So why were all these observations not made while the team was in preparatory stages and the various championships they had competed before that. Prior to the Thomas Cup, from the Prime Minister downwards, were all full of praise for the team and upbeat especially after Datuk Lee Chong Wei's All-England triumph. All were talking about winning the Thomas Cup. No one came forward to tell the truth of the team's real chances and everyone was hoping a miracle will happen. But instead, there was chaos in the BAM with their internal problems - from sponsorship deals, sacking of the secretary-general, coaches taken to task, players dictating their terms, chess games and cloak and dagger scenarios among officials. It was one of the poorest preparations for a Thomas Cup campaign with no focus at all. But no one addressed it or come out in the open to make it known. Everyone wanted to be the good guy. Now, everyone has their theory and excuses. It is too late! This is Malaysian sports. No one dares to call a spade, a spade! We have have false hopes, never want to accept reality and are full of dreams without putting in maximum honest and dedicated effort. BAM was suppose to be one of the best administered sports associations in the country. What happened? Sports politics and agendas found it's way to the association and the sports suffered! In the end, the players and coaches become the victims, while all the decision and king makers and the hand-ons, remain, to drag the game further through mud.